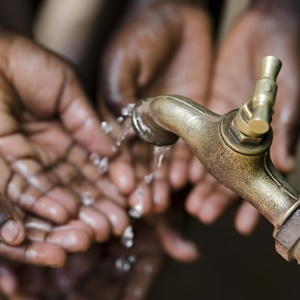 Johannesburg - South Africa is at a critical time for water and sanitation planning, according to Trevor Balzer, deputy director general: strategic and emergency projects at the Department of Water and Sanitation. Addressing the Annual Water Stewardship Summit in Sandton on Monday, Balzer echoed calls earlier this year by the department's Deputy Minister Pamela Tshwete that big businesses should assist in funding sustainable development projects. Calls went out at the summit for the financial sector to look at ways to support efforts to close the water services infrastructure funding gap of about R30bn per year. The summit was a meeting of water, infrastructure and financial sector stakeholders and aimed to present in-depth talks on funding models to improve SA’s water security, in support of the National Water and Sanitation Master Plan. The Department of Water and Sanitation is in the process of drafting the plan, which is expected to be completed in March 2018. By involving financiers early in the process, it is hoped that the master plan can be designed to benefit the country as well as attract investors. Experts said at the summit that SA's water services face challenges on a number of fronts. These include supply, ageing infrastructure, the need for new infrastructure, significant non-revenue water losses and the issue of revenue collection. They underlined the need for innovative new infrastructure funding models and new approaches to water management, to minimise losses and improve revenue generation and collection to reduce the budget gap in the sector. James Aiello, senior adviser, transaction advisory services at National Treasury, said a large number of municipalities outside the main metros are in an unsustainable position, and face significant challenges in securing infrastructure funding. Catherine-Candice Koffman, head of infrastructure and telecommunications project finance at Nedbank CIB, said it helps the bank from a corporate and investment banking perspective to become involved at this stage of the planning process, as this enables it to leverage its own goals to contribute to the future master plan. Cornelius Ruiters, executive: infrastructure and programme management services at the Independent Development Trust encouraged urgent and innovative new water infrastructure funding models in SA. He wants a focus on enhanced efficiencies in the system as well. Danish Ambassador Trine Rask Thygesen said the Danish government has three main aims in supporting SA’s efforts to improve water security and bridge the infrastructure funding shortfalls. These are foreign policy and long-standing partnerships with SA; an ongoing interest in helping improve water services; and the fact that Denmark has developed world class water infrastructure innovations.